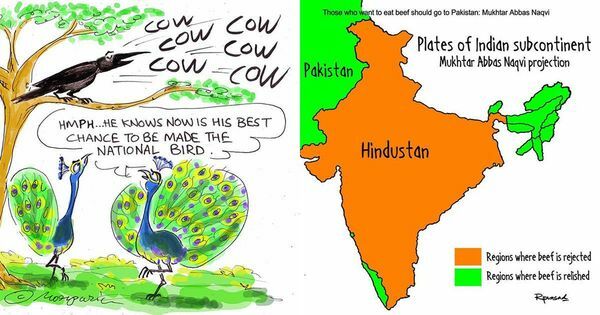 A new Indian comedy podcast is finally making politicians laugh. How many will say Shut Up Ya Kunal? A comedian and a politician walk into a bar. What comes next is not politically correct. 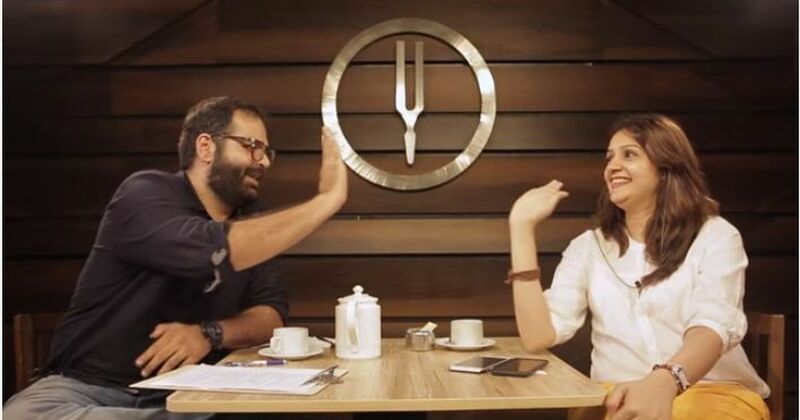 In his podcast Shut Up Ya Kunal, comedian Kunal Kamra tries to get politicians and newsmakers to do something rarely seen on television – engage in a healthy debate (sans shouting) on the burning issues of the country. The result is alternatively humorous and enlightening, as Kamra navigates the casual conversations at a stand-up comedy venue. Three episodes of Shut Up Ya Kunal went online between July 20 and July 25. In the first, Kamra sits across the table from Madhukeshwar Desai, vice-president of the Bharatiya Janata Party’s youth wing; in the second he speaks to Congress National Spokesperson Priyanka Chaturvedi, and the third – the most widely shared episode thus far – is a freewheeling chat with Jawaharlal Nehru University students Kanhaiya Kumar and Umar Khalid. India’s nascent stand-up comedy scene has often had to weave its way around threats of censorship, political opposition and moral outrage. As a result, comedians either stick to predictable jokes hinged on forms of racism, misogyny and Bollywood mimicry or attract lawsuits. What sets Kamra’s show apart is his ability to get political representatives to share honest, often controversial thoughts on camera. In the first episode, Kamra and BJP’s Desai discuss everything from the role of the party’s youth wing and the scepticism towards politics to cow protectionism, demonetisation and attacks on minorities in India. In the second, when Kamra speaks to the Congress’s Chaturvedi, one gets the sense he is already beginning to find his groove: Chaturvedi laughs along with the host, even cracks a few jokes at her party’s expense. Nothing is off topic, not even Sonia Gandhi’s son-in-law and businessman Robert Vadra (Kamra asks Chaturvedi about his workout regime and alleged political patronage that has helped his business grow). Kamra’s target audience is the youth – a demographic that either refuses to engage with the news, or receives their news updates through WhatsApp or Facebook. He hopes to break through the echo chamber of social media and reach those who are only exposed to the majoritarian point of view. But this is a goal he is yet to achieve. “A majority of the people who are seeing the podcast are also the same who are reading [the tweets of] Rana Ayyub or Shehla Rashid on Twitter,” he said. He hopes that the fact that Shut Up Ya Kunal is available for free on YouTube will help him reach a wider and more diverse audience. Kamra painstakingly curates video clips to show both sides of every story. The clips – segments from TV news channels and obscure ads – are often placed strategically to undercut or challenge what the party representative has just said. In the first episode, BJP youth wing’s Desai is questioned about the whataboutery in the political discourse, and why the BJP points fingers at the Congress when asked about anything controversial. When Desai denies this and proclaims that “the Congress is in no way a benchmark for this government”, the episode cuts to a video clip of BJP spokesperson Sambit Patra mocking Sonia Gandhi’s Hindi on national television. While Chaturvedi talks about the rigid definitions of patriotism and nationalism today, saying “if the Congress is in power, we won’t be asking for your patriotism certificate”, Kamra follows this up with footage of a Congress leader demanding that Madhur Bhandarkar’s Indu Sarkar be screened before Congress leaders and be released only if it contains no objectionable content about former Prime Minister Indira Gandhi. The third episode of the podcast with JNU students Kumar and Khalid was shot in Delhi. The duo hit the headlines in February 2016 after they were arrested and charged with sedition in connection with an on-campus event on Kashmir. As Kamra listens, the students talk about patriotism, nationalism, freedom of expression, poverty, inequality and feminism. Kanhaiya and Khalid even joke about the online abuse and death threat they face almost daily, saying that they don’t have a problem with trolls, but for their sake, wish they worked for at least minimum wage. As much as the podcast is about the news, it is also about those that disseminate it. Shut Up Ya Kunal calls the media out for its subservience to authority, as the gap between propaganda and news diminishes. For this, Kamra mainly holds television channels accountable, embellishing the point with carefully chosen clips from news debates and segments over the past year, including the seeming whitewashing of Hindutva hardliner Adityanath’s image, post his elevation to the post of Uttar Pradesh’s chief minister. One of the clips includes how much air time news channels spent speculating who Adityanath’s barber was. The other challenge is finding politicians willing to speak – “They have to come without their baggage,” Kamra said. As a way to get his guests to relax and lower their guard, the comic likes to meet his guests a few times before the show is actually recorded. While Kamra has not planned his next episode, he does have some ideas about who he’d like to invite to the show: Mirror Now’s anchor Faye D’Souza, JNU student Shehla Rashid and maybe even BJP’s Sambit Patra. “But the idea is to get them not in their normal avatar,” he said.